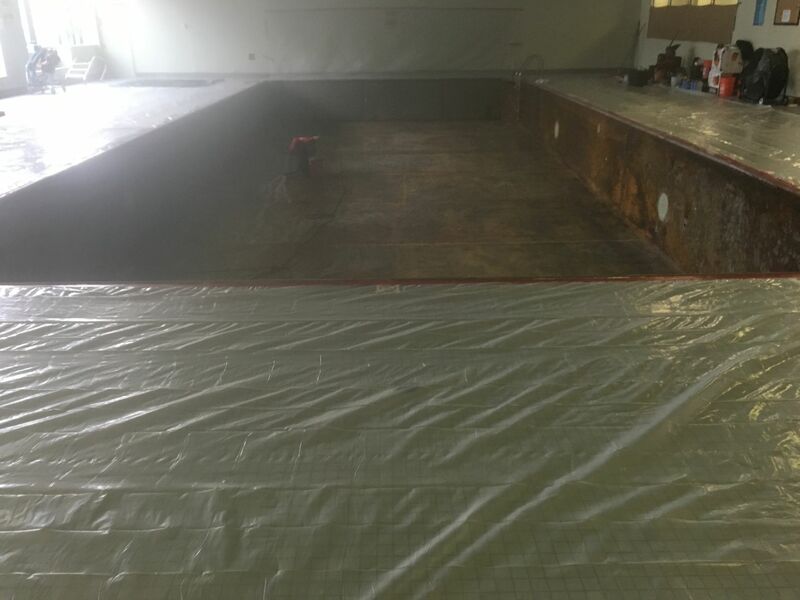 This Commercial pool is made of steel and requires our rust inhibitor membrane before the fiberglass resurfacing can start. 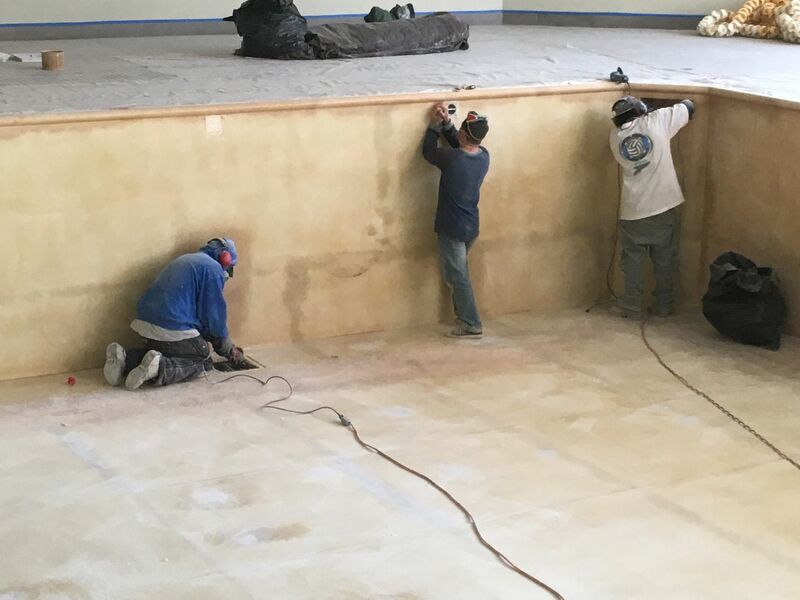 When the membrane has cured the fiberglass resurfacing of the pool surface begins covering every inch. 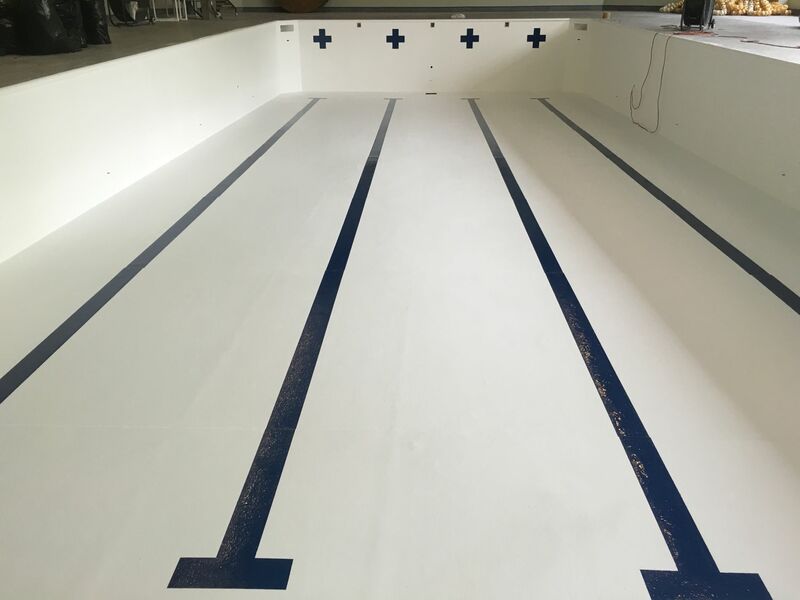 The next step is to apply our swimming pool gel coat to the entire fiberglass liner. 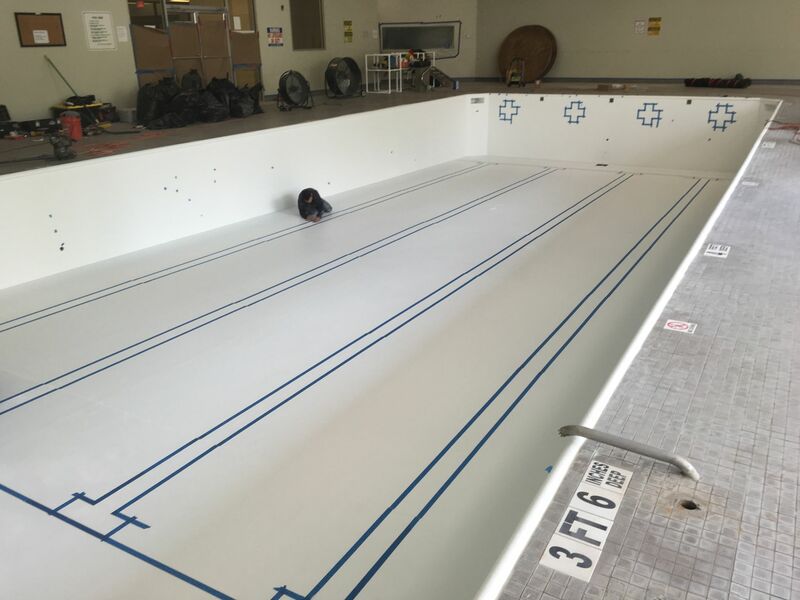 All lane lines and targets are laid out and double checked to make sure they are to spec for competitive swimming. 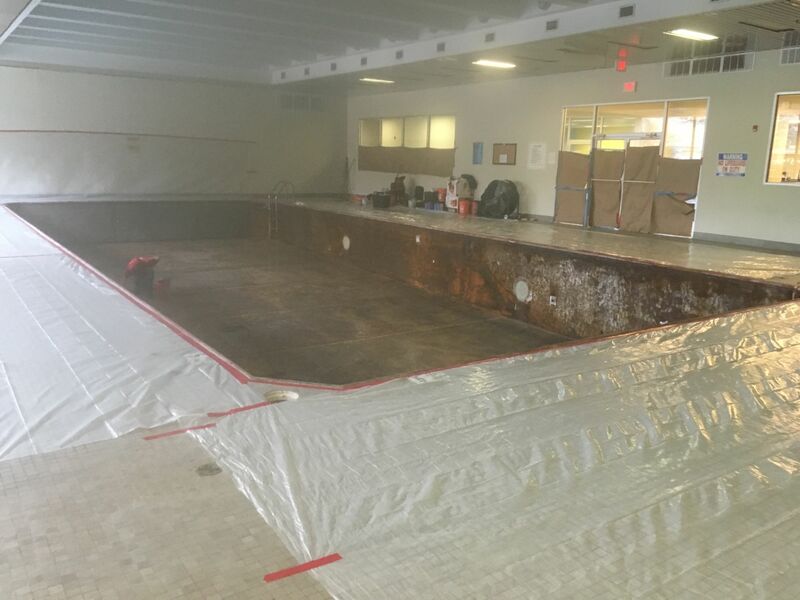 We have provided this process for commercial pools for the last thirty years.